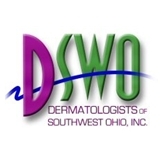 Dermatologists of Southwest Ohio, Inc. (Mason) - Book Appointment Online! The mission of DSWO is to provide easy access to high quality dermatologic care with a goal of making patients look and feel their best regardless of age. The staff at the several separate sites throughout the Southwest Ohio community strive to make patient visits convenient while providing an environment that is consistently friendly, courteous, and caring.